There are so many stories that involve the social construct of race that if I didn’t have a full- time job, reporting on them would be. But, merely talking about the stories, sharing this kind of news is not enough. I would only get caught up in the news cycle. Going around and around until unable to keep up or tired of the predictability of it all, I would be crushed by the monotony. Instead, I am looking for a response, a change in the way we view race and in turn, the people who are impacted by it (which would be all of us). In short and as is evident by the name of the blog, I want to get rid of it. It is my prayer that my words would ensnare race in your mind as something other than identity coupled with the feeling that it needs to be discarded immediately. But, I digress. To be sure, one cannot exist without the other. If socially colored white people denounce the privileges of whiteness, then the burden of blackness will be lifted. Likewise, if socially colored black people denounce the certainty of oppressions that come with blackness, then the system of privilege would topple. They go hand in hand; one supports the other. Crediting the social construct of race with our identity and thereby our beauty, social standing and worth has made it ubiquitous. We can’t go a day without mentioning of race. We cannot speak of ourselves without its interjection. Recently, there have been several stories that caught my attention. 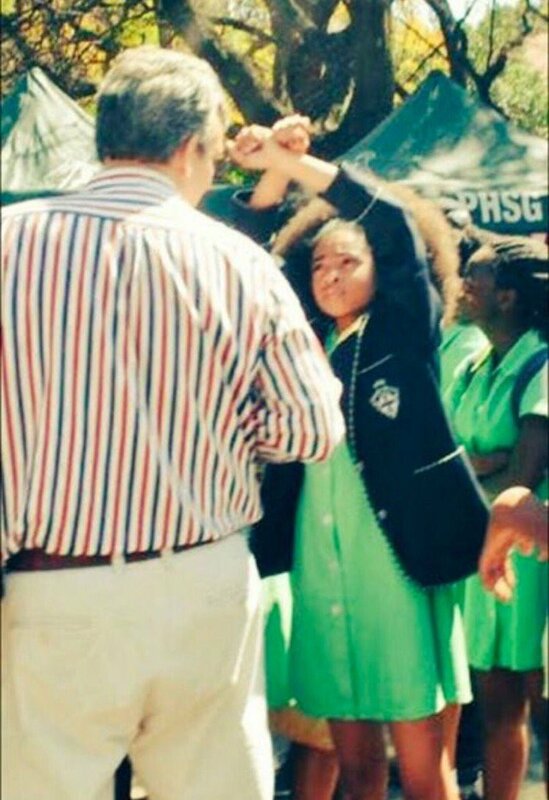 Protests ensued at Pretoria High School in South Africa after the school suggested through carefully chosen words that the natural hair of its African students was not acceptable. You can read the full story here. But, what norm is being created when God- given hair is rejected? Colin Kaepernick, a quarterback for the San Francisco 49ers, is remaining seated during the singing of the national anthem as a form of protest and to bring attention to the violence suffered by African Americans. Several other team members have joined him. The NFL has released a statement that supports his decision to sit this one out and fans are showing their agreement by purchasing his jersey. But, what about those who are calling for him to be fired? Who defines American patriotism? Lastly, Georgetown University recently apologized for its ties to the American slave trade and is trying to make amends. The school is offering “preferential admittance” to the descendants of the enslaved African persons used to pay off the school’s debt and renaming buildings in their honor. But, family members are asking for direct financial compensation since those admitted would still have to pay the $50,000 per year tuition. But, why must they ask for financial assistance at all? Didn’t the university benefit financially and not symbolically? Why are words not enough when it comes to race? There is much ado about race and much to do if we are to rid ourselves of its headlines. Perhaps, it starts not with seeing it as the answer but the problem.